Have you ever tagged someone on a meme or image on social media that you think might make them happy? Imagine tagging a dog lover on random puppy memes and seeing them smile! That’s precisely what makes them happy. 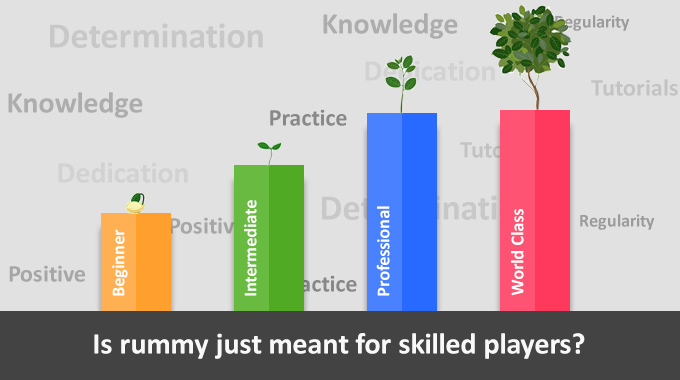 And quite similarly, there are certain things that can make rummy players happy too! 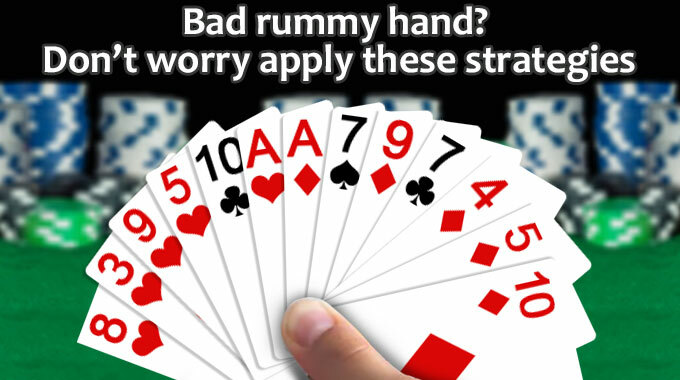 While you might think that knowing the best strategies is what makes rummy players grin from ear to ear, there are many more. And these may not be necessarily covered under strategy. 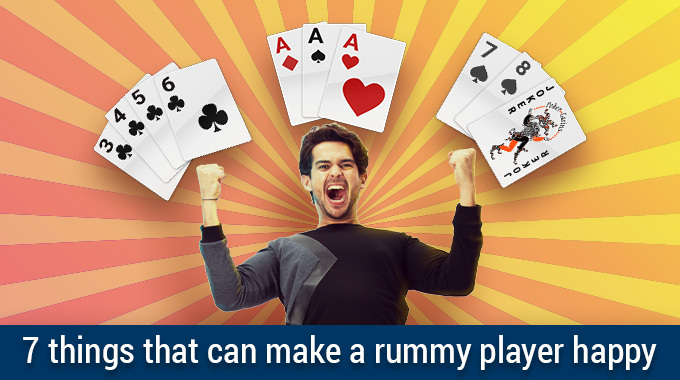 So here is a list of 7 things that can make a rummy player really happy! Starting with a sequence: This is a rare occurrence indeed, and by no means is it one that guarantees victory. What it does guarantee, however, is a smile on the face of the player who receives it and a feeling of a perfect start to the game. The game can still go south from there, but usually, it gives a player a good head start. And as long as they don’t read too much into the omens of it, they can convert a starting sequence into victory. The Joker: Rummy is one of few card games to utilise a joker, and where the joker plays a pivotal role. Starting with a joker automatically takes a bit of stress off the player since it makes forming a sequence a little bit easier. But a Joker alone cannot help you win a game. At least one of the sequences created in a game of rummy must be a pure sequence, a.k.a a sequence with no Jokers. Rash opponents: Rummy is a game of skill and patience which rewards those who can wait while punishing those seeking quick gains and quick rewards. Thus, nothing is bound to make a rummy player happier than them knowing that the players they are going up against are impulsive in nature. These types of players tend to concentrate on short term strategies and not on long term ones. They also tend to be bothered more about winning rounds than accruing points; and in rummy, winning without collecting points is akin to losing. Usually, it’s amateur players who are rash as one of the qualities the game requires is patience. The blessings of Nike: Granted that the game of Rummy is about skill, patience and reading your opponent’s way of playing the game, there is much more to it. Sometimes Rummy players like to hope the expectations of receiving that one card that will enable them to make a sequence and bag many points. To this end, they sacrifice more conservative strategies and winning opportunities. As they wait with bated breath to see what the cards reveal, inevitable and once in a while, the Goddess Nike confers on them a blessing that they seek, enabling them to win the game due to it! 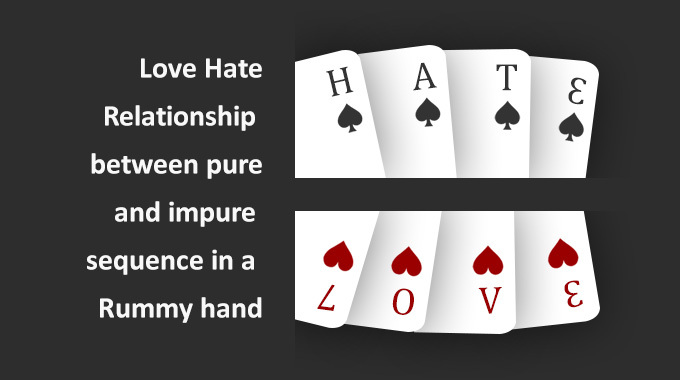 Reading an opponent: Most rummy games are based on this simple fact. The way an opponent plays is the key to victory or defeat for a player. Understanding the opponent’s style of playing gives a decided advantage to the people playing the game. Some opponents just do not know how to disguise or conceal their intentions within the game. Once their pattern is picked up, they are in a severe disadvantage to those who have picked up their pattern. Denying the opponent a card: This one is a bit devious, but it is guaranteed to put a smile on a rummy player’s lips. Sometimes when you know that your opponent is gunning for a card to complete their set and make loads of points, merely denying them that card is enough of a win for you! This usually works best when playing rummy with close friends and family but can work perfectly in any setting that is chosen. Take care, however, since such destructive game practices reduce your opportunities of winning since you have to hold on to a card you do not require. But the fun of seeing your opponent fume may be worth the risk! 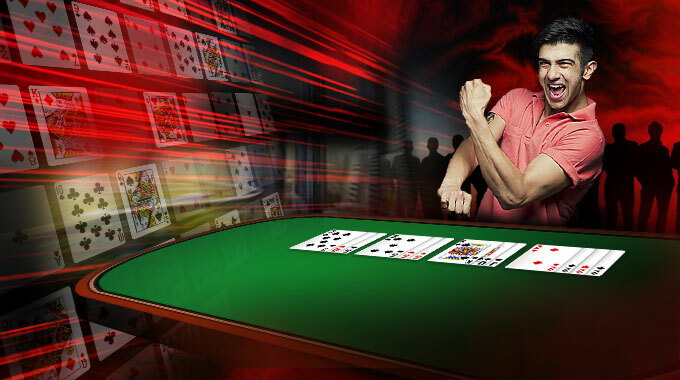 Winning: Undeniably the one thing guaranteed to make a rummy player happy is the joy of victory. 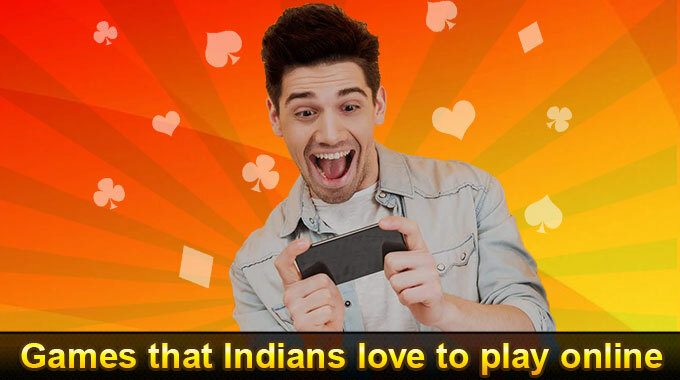 This can be construed in total games won or total points won, but in either case, it counts as the single biggest factor in making a rummy player happy! 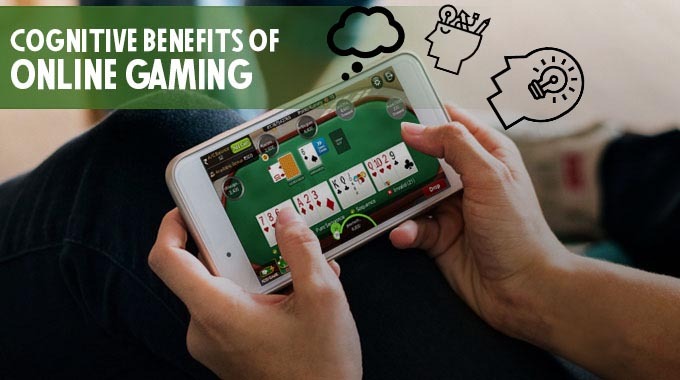 Whether playing rummy online or offline, whether knowing how to play rummy or being a complete rookie at it, the game is undeniably a load of fun, especially for the reasons listed above. 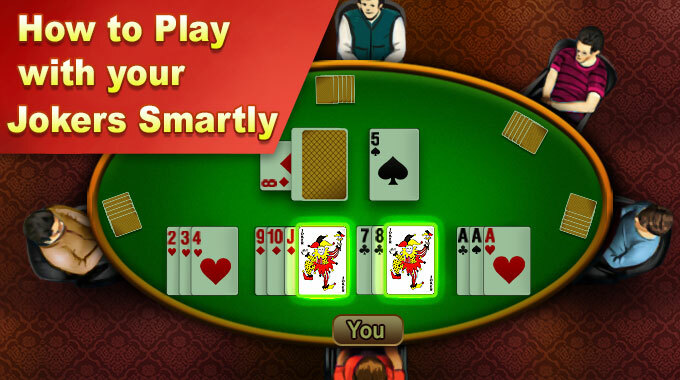 It is also the best game if you want to play rummy online for real money! 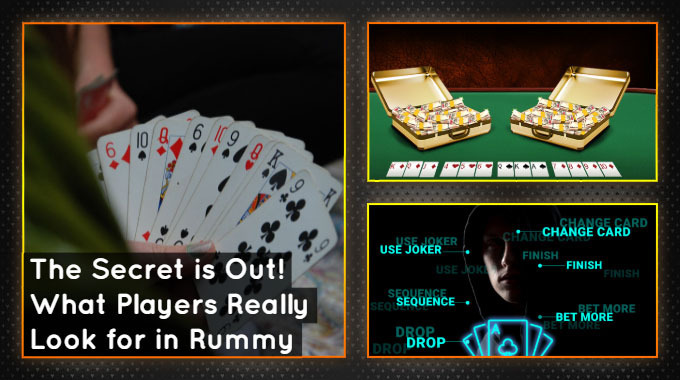 The one thing which is implicit and thus not mentioned above is the number one reason that makes rummy players happy, and that is simply playing the game of rummy itself!